Infrastructure is a term used to denote components of the cloud such as servers, storage, databases, networking, etc. In order to run applications in the cloud, you need to provision the appropriate infrastructure to do so. The major cloud providers offer Infrastructure as a Service, which is a one-stop shop for picking and choosing the infrastructure you need to build your cloud applications. 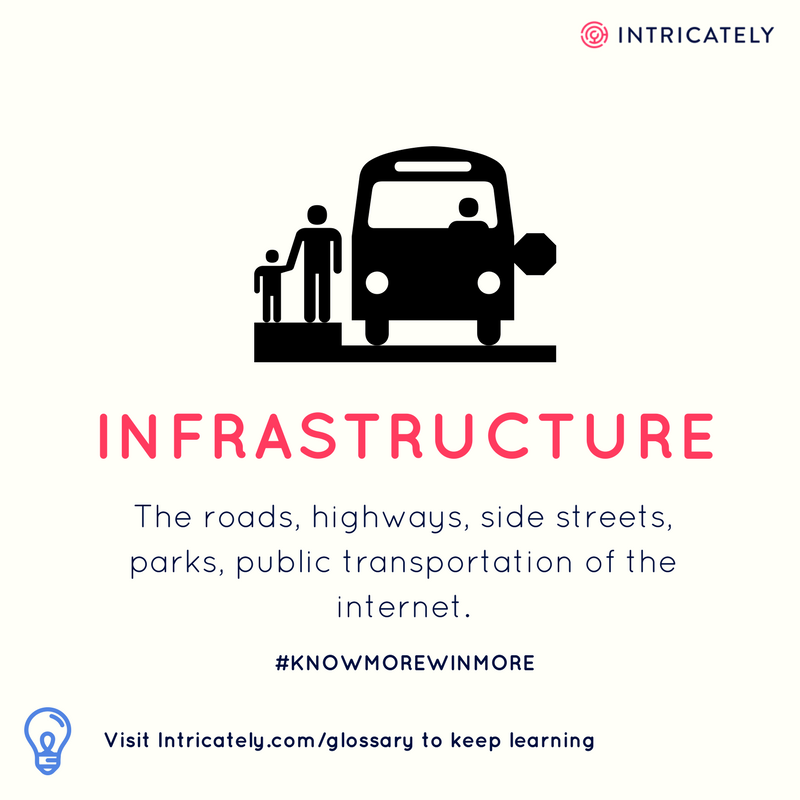 The roads, highways, side streets, parks, public transportation of the internet.